WHAT'S IT ABOUT? 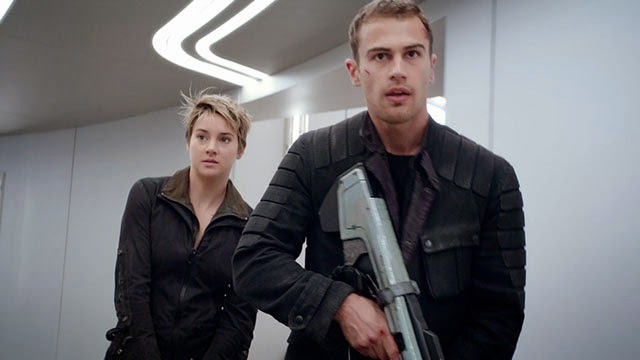 Tris and Four reluctantly bring the fight to the government in this second film based on the book series by Veronica Roth. IS IT ANY GOOD? (GRADE: C+) It's ironic that, in a series about people transcending pigeonholing and labels, there are so many one-dimensional characters. Many of the peripheral characters here are woefully underdeveloped; promising arcs set up in the first film are abandoned. This, a rushed pace, and melodramatic moments of unintentional comedy cause Insurgent to lack the emotional power it aspires to. Still, a great performance by Shailene Woodley, a deliciously villainous turn by Kate Winslet, creative direction, ambitious visuals, and worthwhile themes make this a solid entry for fans of the series. 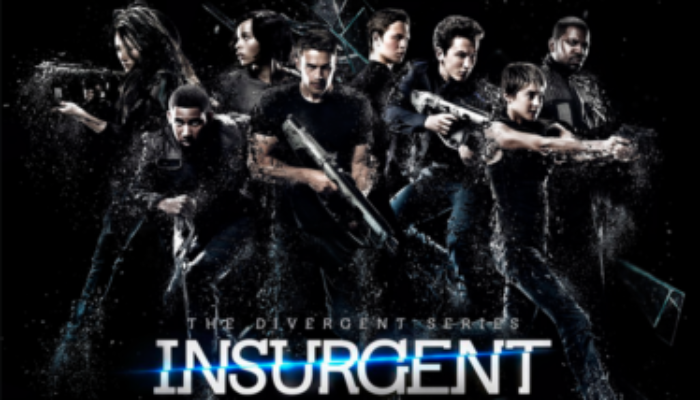 CONTENT OVERVIEW: Insurgent is rated PG-13. A brief love scene finds a young man and a young woman removing each others' shirts and kissing; the shot captures only above the shoulders and it fades to black. There are a few moderate profanities and one silently half-mouthed f-word. There is plenty of action violence, including fighting with knives and weapons, several unarmed people killed “execution-style” by being shot in the head just off-camera, and a torturous test that kills its participants, leaving their bodies bleeding from mouth and nose. MESSAGES TO DISCUSS: People tend to defy labels and stereotypes; they're complex and worth getting to know individually. Developing all of your talents will help you to contribute to, and even change, society. Of equal importance to forgiving others is forgiving yourself. Interested in Insurgent? Try these as well!